Two serving dishes by English Village by Salem China co hand engraved underglaze and permanent colour, part of a collection. Olde Staffordshire. by Salem China & Co. Salem England. English Village. Here we have 2 x Oval blue & White serving platters/dishes/plates. Permanent Colour. 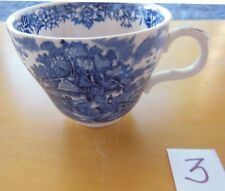 Salem China Ironstone Staffordshire, England. Previously used, in very good condition. English Village by Salem China Company ~ Olde Staffordshire 3 Soup/Cereal Bowls. Dispatched with Royal Mail 2nd Class. Salem China 5 1/4” Bowl. A beautiful 5 1/4” bowl from Salem China. Composed of wide-ribbed ironstone, with a 'daisy drop' Yorktown flower design, pre-dating other Royal Doulton Yorktown versions from 1963. ENGLISH VILLAGES OLDE STAFFORDSHIRE. A VERY GOOD CONDITIONED LARGE SERVING BOWL BY SALEM CHINA CO.
Salem China Co, York Town Gravy Boat. Cash upon collection is also accepted. You must take reasonable care to ensure the goods reach us in their original sale condition. In summary. ENGLISH VILLAGES OLDE STAFFORDSHIRE. A VERY GOOD CONDITIONED SET OF 6 SMALL FRUIT BOWLS BY SALEM CHINA CO. FINEST ENGLISH IRONSTONE DISH- SALAD DISH -WITH BLUE FLOWERS. PRESENTED ISYORK TOWN BYSALEM CHINA CO. OLDE STAFFORDSHIRE. CRACKS OR CRAZING,MADE INSALEM ENGLAND. What you see in the picture is the actual item you will receive. Matching design is featured on the entire surface of the saucer. Set looks to be in display only condition and is free of any issues. 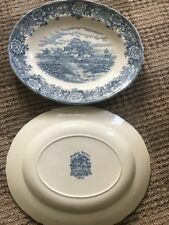 Vintage Salem China Olde Staffordshire ENGLISH VILLAGE Blue Saucer FREE SHIP! English Village by Salem China Co. Olde Staffordshire Cup. Salem England. excellent condition. English Village by Salem China Co. Salem England. excellent condition. English Village by Salem China Co. Olde Staffordshire Cup. Salem England. 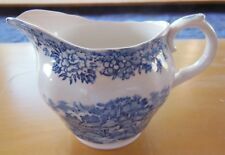 English Village by Salem China Co. Olde Staffordshire Cup #3. Salem England. small chip on bottom rim (shown in photo).